Skyrim Special Edition Nexus, prog. 6 Apr 2019. 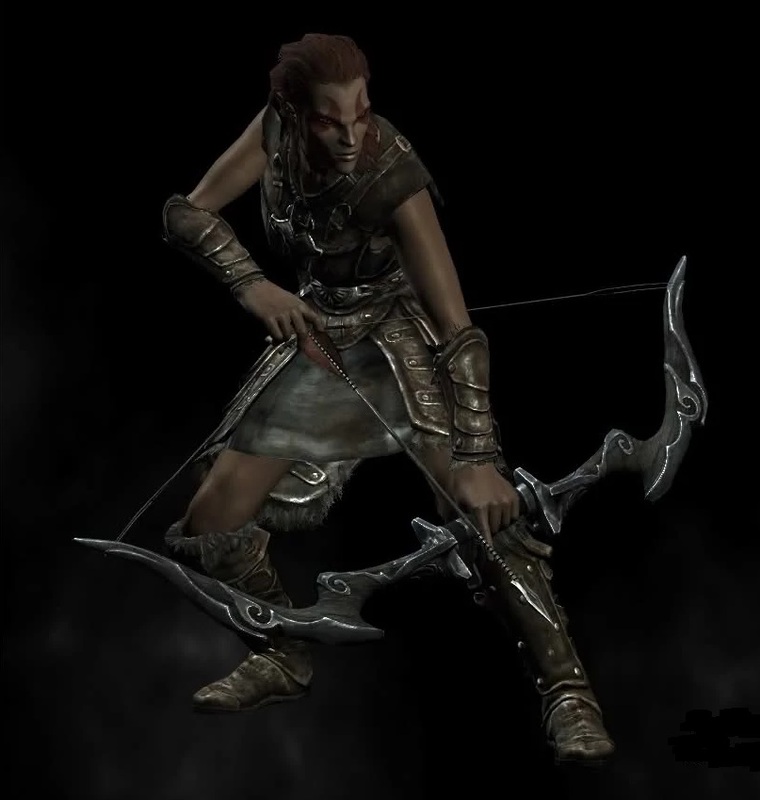 VRIK Inverse Kinematics. 14 Feb 2019 <https://www.nexusmods.com/skyrimspecialedition/mods/23416>. 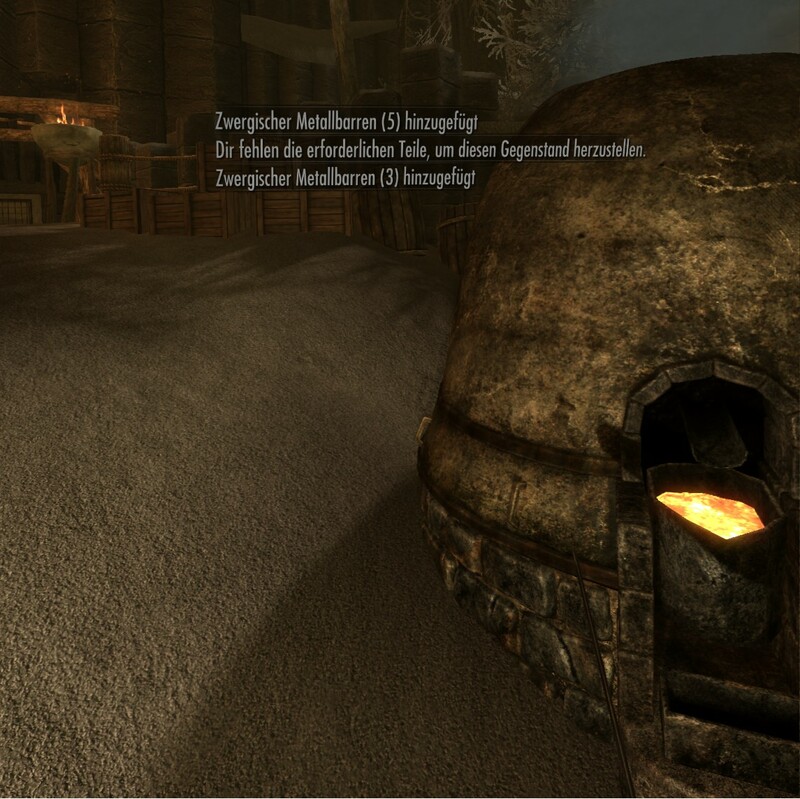 Skyrim Special Edition Nexus, MuKen. 23 Mar 2019. MageVR. 18 Nov 2018 <https://www.nexusmods.com/skyrimspecialedition/mods/21297>. Skyrim Special Edition Nexus, Smiley96L. 8 Sep 2018. VR Body. 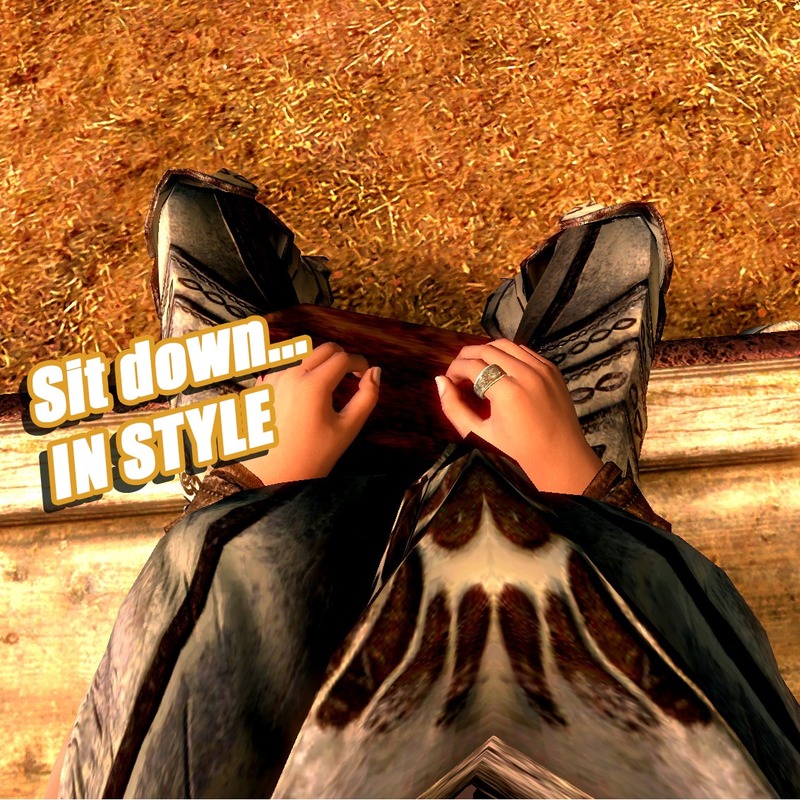 9 Jul 2018 <https://www.nexusmods.com/skyrimspecialedition/mods/18449>. 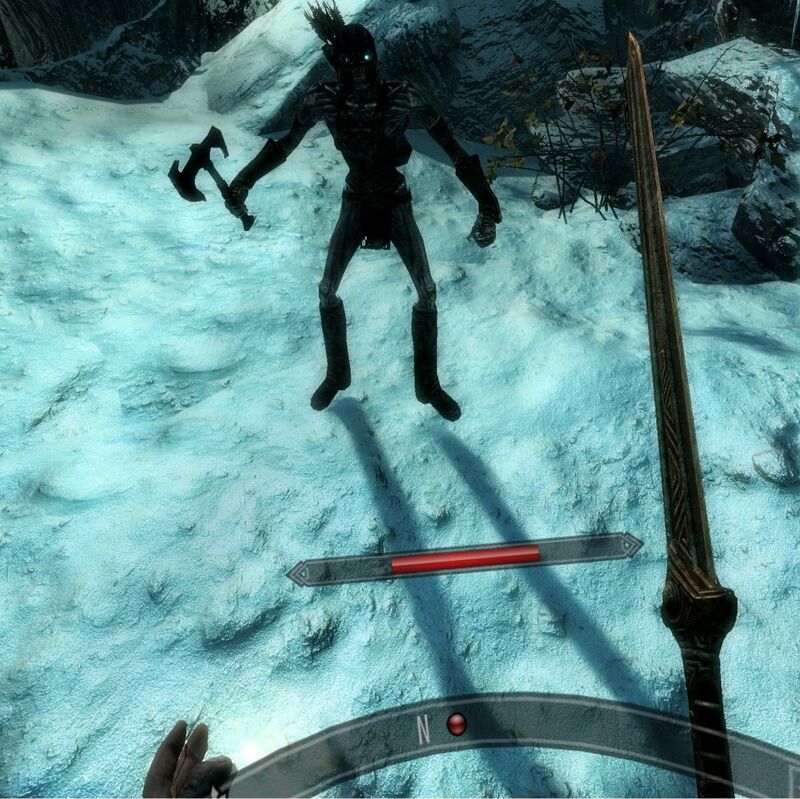 Skyrim Special Edition Nexus, shadowking97. 11 Apr 2018. VR Perk Extender. 7 Apr 2018 <https://www.nexusmods.com/skyrimspecialedition/mods/16330>. Skyrim Special Edition Nexus, Vince Trust. 23 Jun 2018. Centered Messages Box VR. 1 Jun 2018 <https://www.nexusmods.com/skyrimspecialedition/mods/17687>. Skyrim Special Edition Nexus, Subatomic Penetraion. 10 Apr 2018. SkyrimVR - USSEP Compatibility Patch. 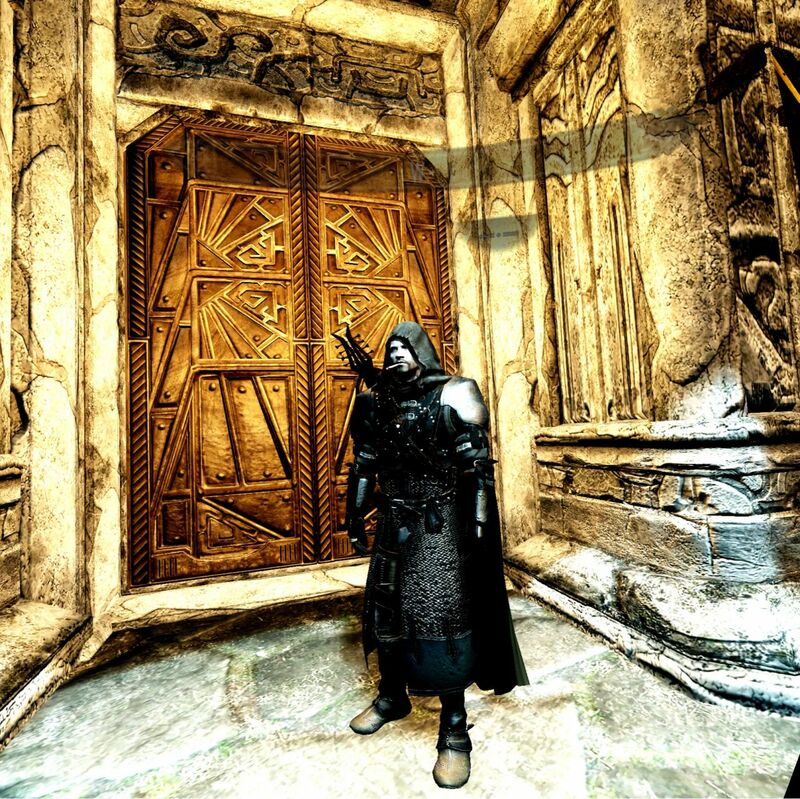 10 Apr 2018 <https://www.nexusmods.com/skyrimspecialedition/mods/16412>. Skyrim Special Edition Nexus, Bilago. 30 May 2018. 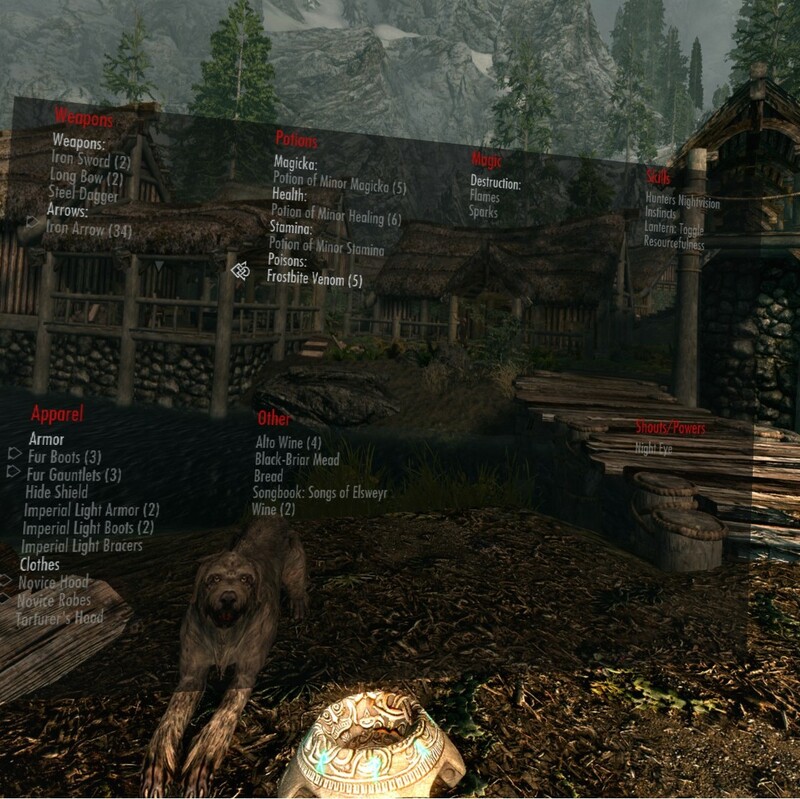 Skyrim VR Configuration Tool. 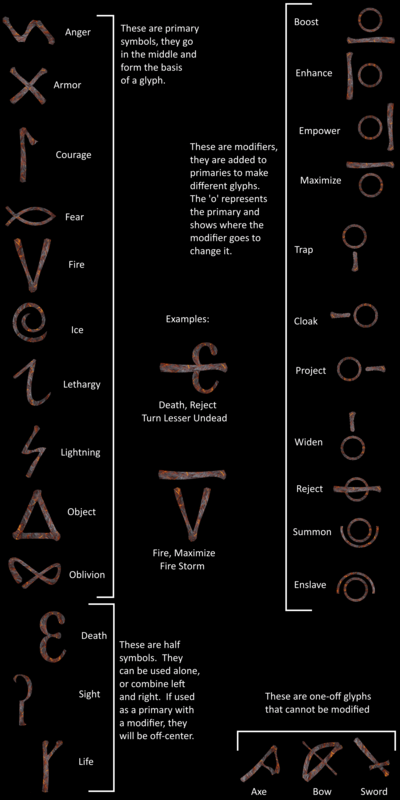 3 Apr 2018 <https://www.nexusmods.com/skyrimspecialedition/mods/16242>. Skyrim Special Edition Nexus, ReinhartXIV. 29 May 2018. View Yourself VR. 27 Apr 2018 <https://www.nexusmods.com/skyrimspecialedition/mods/16809>. Skyrim Special Edition Nexus, Vince Trust. 3 May 2018. Get rid of flying and disappearing Health bar and optional Magic and Stamina bar. 1 May 2018 <https://www.nexusmods.com/skyrimspecialedition/mods/16904>. Skyrim Special Edition Nexus, Closeded. 2 May 2018. VR Armored Hands. 2 May 2018 <https://www.nexusmods.com/skyrimspecialedition/mods/16925>. Skyrim Special Edition Nexus, Velgath. 27 Apr 2018. 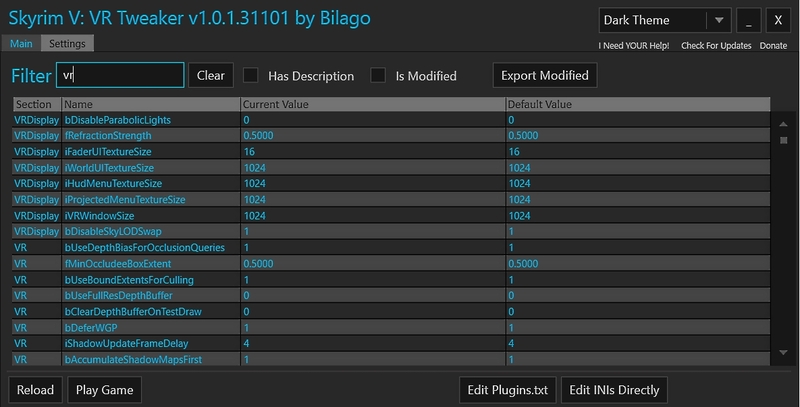 SkyrimVR - USSEP Fixes. 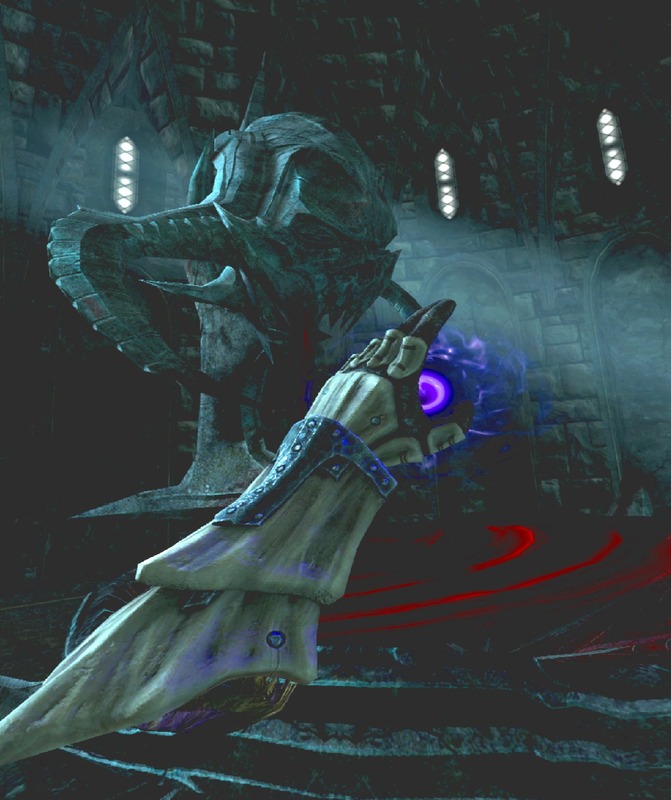 25 Apr 2018 <https://www.nexusmods.com/skyrimspecialedition/mods/16768>. Skyrim Special Edition Nexus, Ajantaju. 6 May 2018. Custom Favorites Menu VR cfg. 6 Apr 2018 <https://www.nexusmods.com/skyrimspecialedition/mods/16306>. Skyrim Special Edition Nexus, Bethesda. 28 Apr 2018. 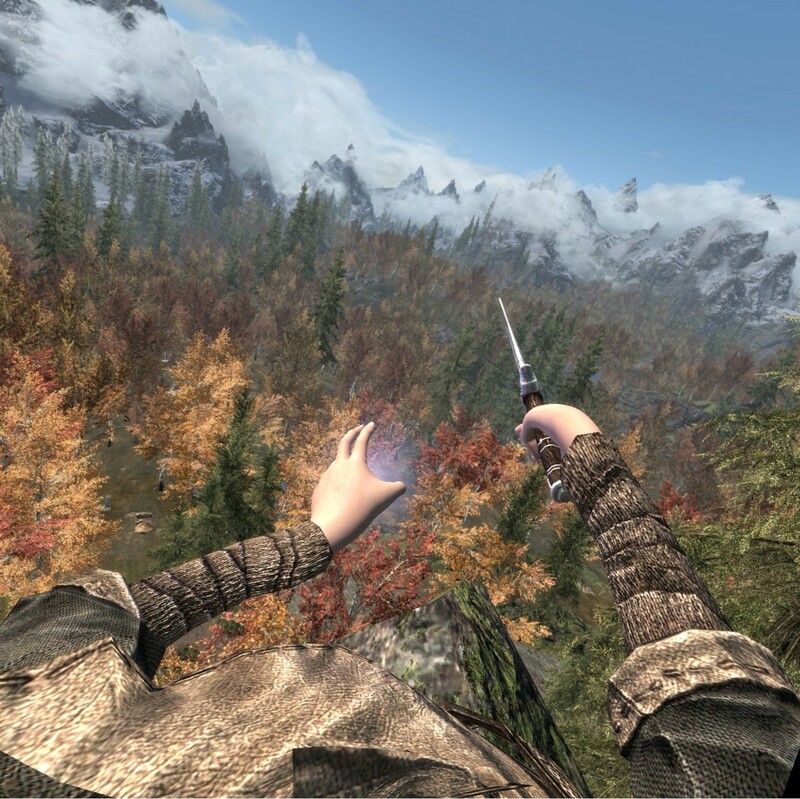 Skyrim VR INI Dump. 3 Apr 2018 <https://www.nexusmods.com/skyrimspecialedition/mods/16246>. Skyrim Special Edition Nexus, Devilswish182. 15 Oct 2018. Delayed Arrows VR. 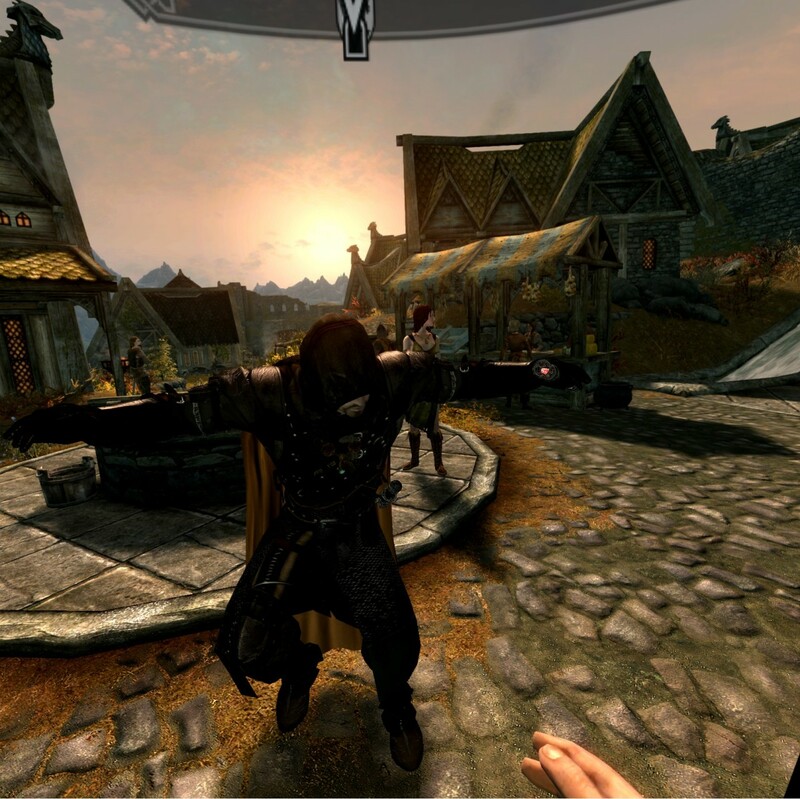 15 Oct 2018 <https://www.nexusmods.com/skyrimspecialedition/mods/20576>. Skyrim Special Edition Nexus, UltimateCoffee. 5 Jun 2018. Ordinator - VR Fix. 5 Jun 2018 <https://www.nexusmods.com/skyrimspecialedition/mods/17780>. Skyrim Special Edition Nexus, Valikron_Arodicus. 13 Apr 2018. Fishing in Skyrim VR. 13 Apr 2018 <https://www.nexusmods.com/skyrimspecialedition/mods/16475>. Skyrim Special Edition Nexus, SuchPotential. 8 Apr 2018. 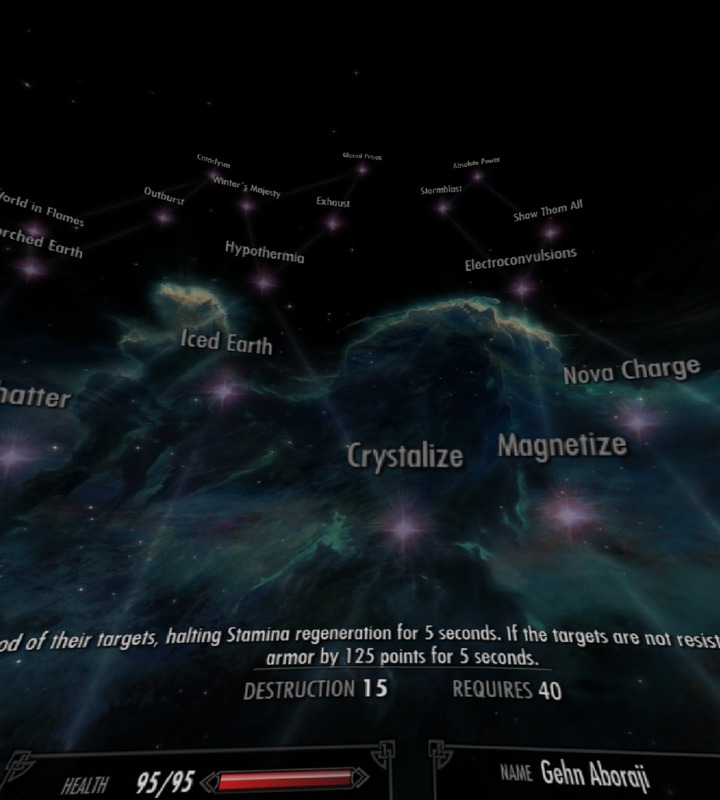 Skyrim VR Space Saver. 4 Apr 2018 <https://www.nexusmods.com/skyrimspecialedition/mods/16256>.